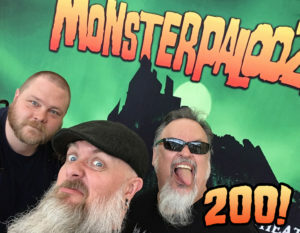 Clancy, Kyle and Jeff discuss the great time had in Los Angeles for Monsterpalooza. Oh my glob, you guys…. Can you believe it? This is the TWO HUNDREDTH freaking episode of the Kaijucast! I’m super happy to make this momentous occasion coincide with our coverage one of the coolest conventions to happen every year, Monsterpalooza. Earlier this month Jeff, Clancy and I went down to Los Angeles (more specifically, Pasadena) for this incredible Spring show. I’ve been attending Monsterpalooza off and on for several years and it’s a really fun time — and I swear it continues to get more fun as the years continue. 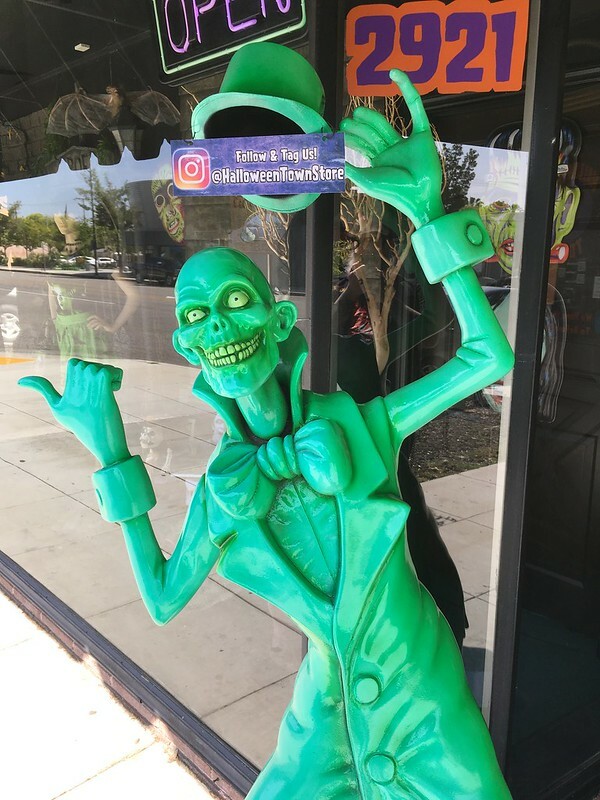 If you love monsters and sci-fi and special effects makeup and haven’t checked it out, perhaps our discussion of the what we did and saw at the convention will sway you to attend one day. 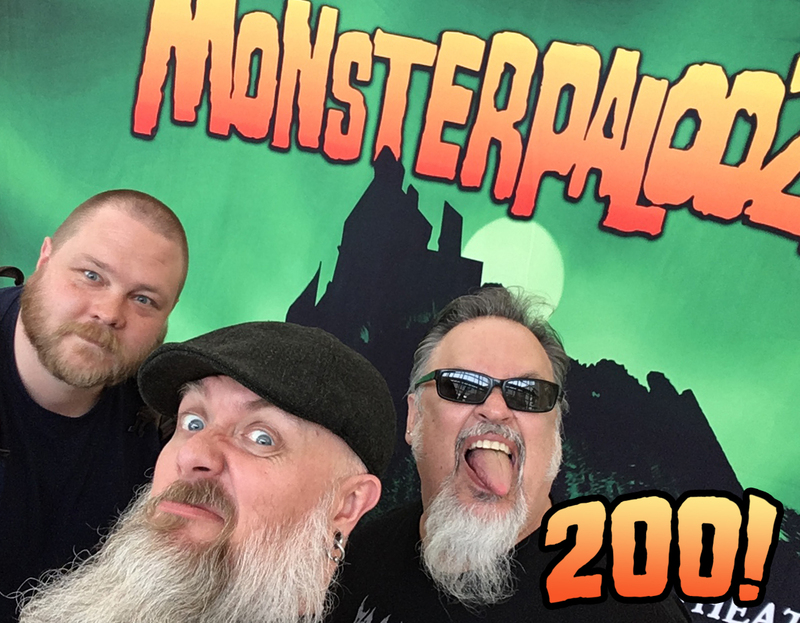 This episode primarily focuses on our time at and around Monsterpalooza – we even dive into our post-con Monday adventures in LA. Because #200 is a special episode, however, we have some really cool voices join us for this event, so big thanks to those folks (I won’t spoil it for you). Hope you enjoy the episode – make sure to check out more awesomeness below! The gears of the Kaijucast machine are in motion and some really fun stuff is in the works for this summer, make sure you keep tabs on what we’ll be producing in the coming months! Mega thanks to all of the listeners, both old and new alike, for making these two hundred episode fly by; here’s to another two hundred! You’ll have to imagine my raised beer glass here. Check out the photo gallery from our adventure!